***INCREDIBLE NORTHRIDGE RANCH ESTATE! Located within the highly sought-after Granada Hills Charter High School. 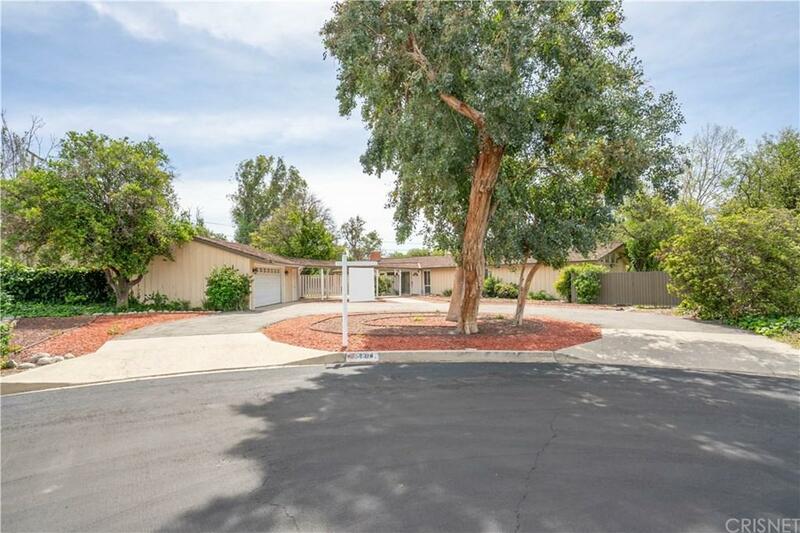 Great Cul de Sac, on over 18k sq ft. lot with circular driveway. This mid century ranch home offers everything your clients could hope for! Walls of windows, letting in so much natural light and brightness! This fabulous home is an entertainers delight! Beamed ceilings, recessed lights, and custom designer tile floors. Beautifully updated kitchen with great custom tile, opens to a large eating area surrounded by windows. Formal dining area leads to huge living room with brick fireplace and vaulted ceilings. Spacious Family Room is perfectly situated off the kitchen. Master suite with custom stone bath and fabulous custom tile shower! This sprawling home offers so much! Fifth bedroom, with private entrance, easily used as an office or den. The sprawling park like grounds with mature landscaping and fruit trees, wrap around the house, creating two backyards...one on either side of the house. A beautiful sparkling pool is the finishing touch to this very unique property!